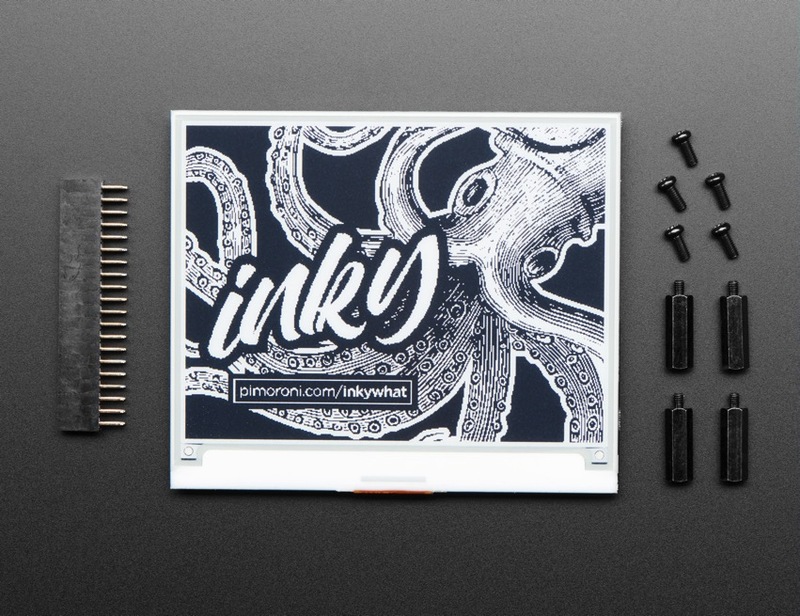 NEW PRODUCTS – Pimoroni Inky wHATs (ePaper/eInk/EPD) – Red/Black/White + Black/White « Adafruit Industries – Makers, hackers, artists, designers and engineers! We’ve got these in two flavors! First up, the Red/Black/White! 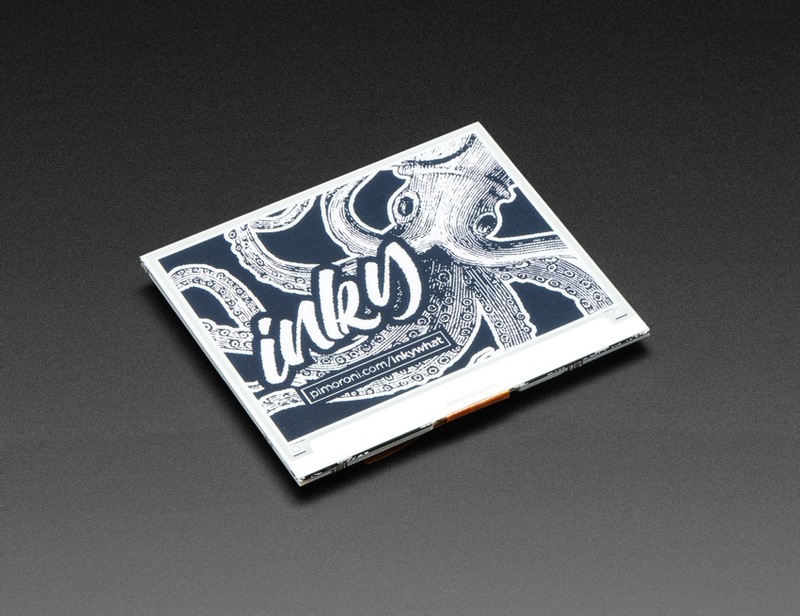 In the beginning there was Inky pHAT, a triumvirate of eInk bonnets from Pimoroni. 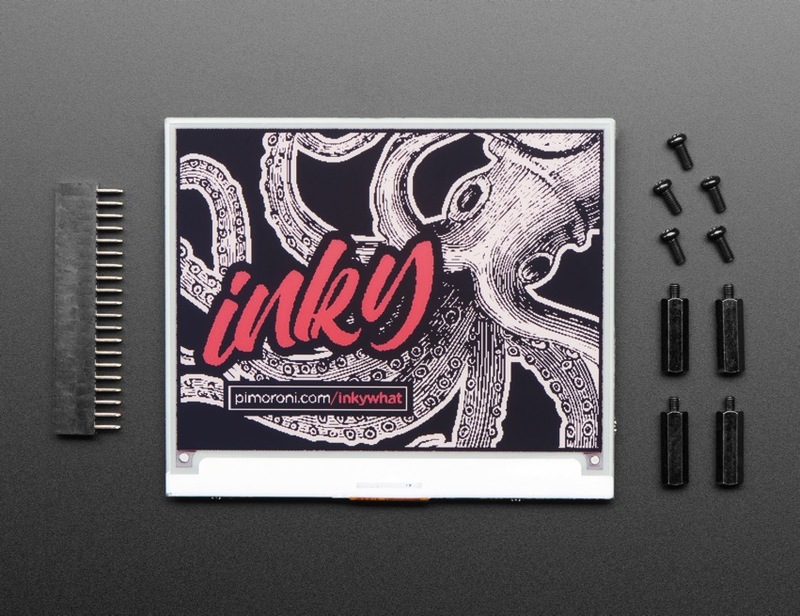 And now, Pimoroni has upped their electronic paper displays to 4.2″ glorious inches! 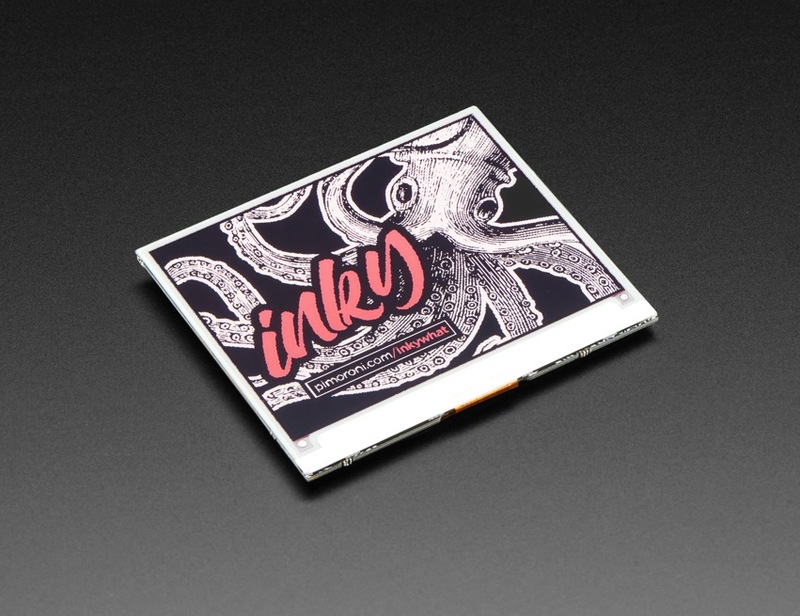 Say hellooo to Inky wHAT! You get 5x the number of pixels (400×300!) to use as an e-reader or maybe a weather display / calendar. Everything comes fully-assembled, so there’s no soldering required! The display is securely plonked down to the Inky wHAT and connected via a ribbon cable. Just pop Inky wHAT on your Pi and run their installer to get everything set up! 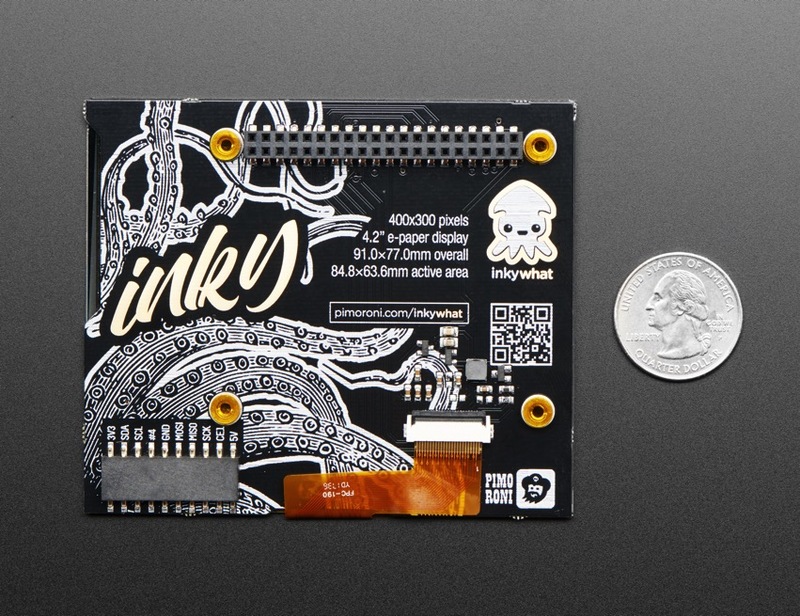 The engineers at Pimoroni broke out some handy pins on the back of Inky wHAT, including I2C and SPI, letting you connect additional devices like breakouts and allowing you to show their data right on the display. Refreshing the display takes about 25 seconds. 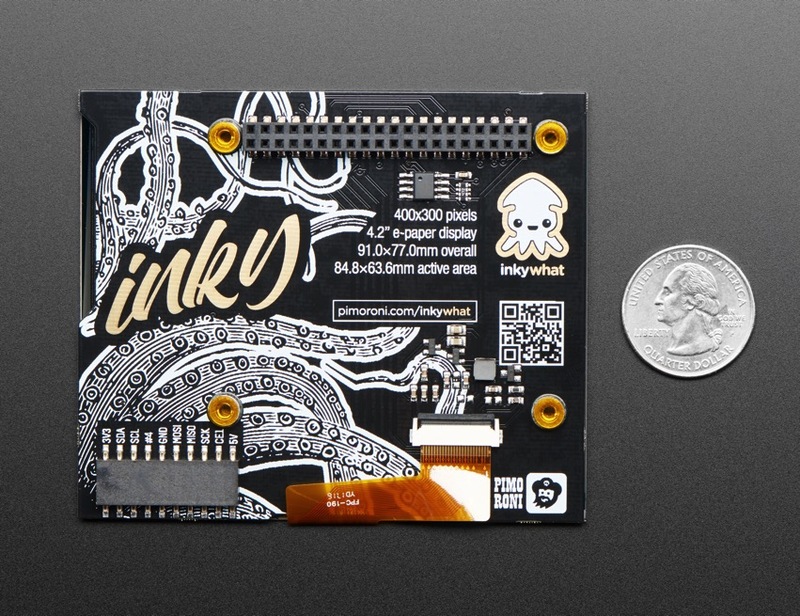 Inky wHAT is compatible any 40-pin version of the Pi, including Pi Zero and Pi Zero W.
Note: The Inky wHAT display is made from glass so it’s pretty fragile. Be careful not to hulk smash or press too hard on it, or it will crack. When fitting the wHAT, grip at the edges of the board rather than pressing on top. Now for the monochrome, Black/White!